Air Rider Taxi & Limo Service has been locally owned & operated for over ten years. We offer a pre-arranged taxi service for your trip. Whether to or from the Halifax Airport or across the Maritimes, we'll try our best to meet your special needs and requests. Let us know any special requirements or requests at the time of your booking and we'll do the rest. Our vehicles are driven by us, the business owners. We are in business to help you have a safe and relaible trip to or from the airport. With a minimum of fuss you'll be collected and delivered safely to your destination whether that be the departure gate at Halifax Airport, place of business or your home. All of our cars and minivans are inspected daily. Flat Rates across Nova Scotia. 24 Hour phone reservation service. An advanced online reservation system. 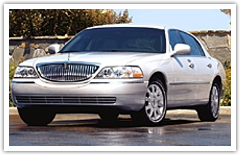 Our fleet consists of late model luxury sedans and Minivans. 'Gate Greetings' with name signs upon request.